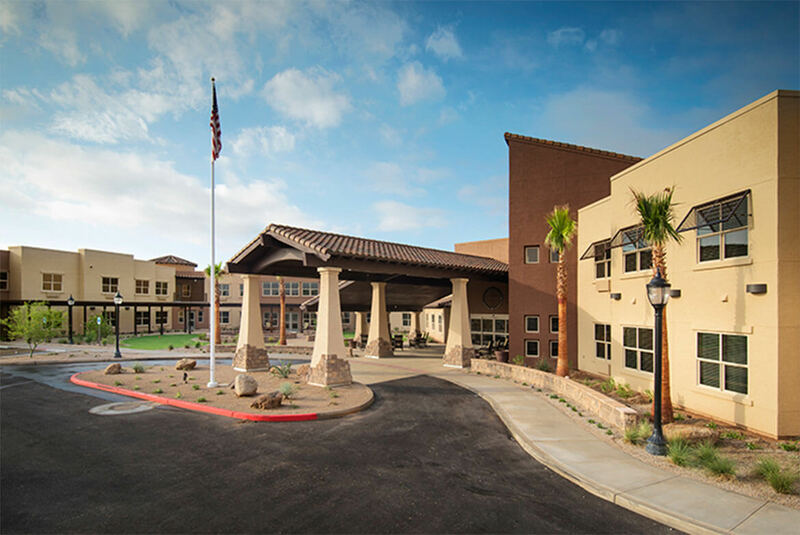 Completed this Fall, Lenity Architecture’s new 99 suite assisted living community in Surprise, AZ lives up to its address. This building’s unconventional design catches the eye immediately and begs to be explored and enjoyed. 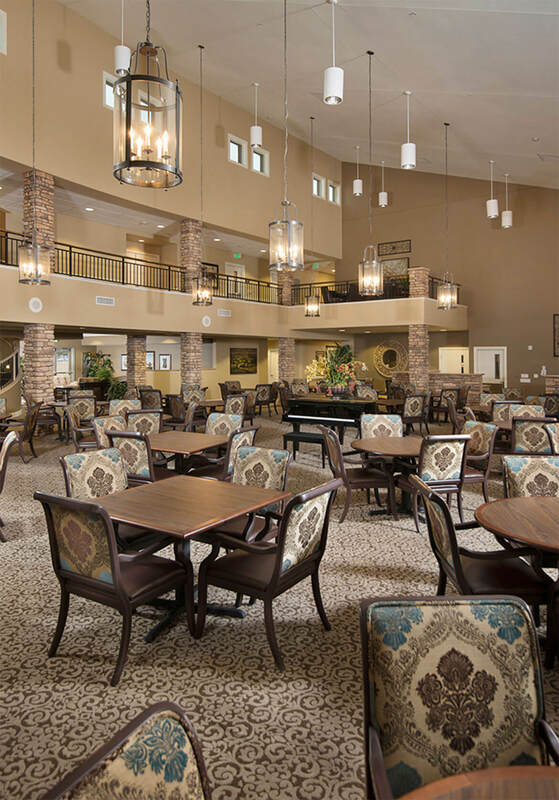 This senior living community’s resort-like feel and unique design encourages seniors to actively enjoy the property in its entirety. Multiple angles work together to create visual interest and common, livable spaces throughout the property. 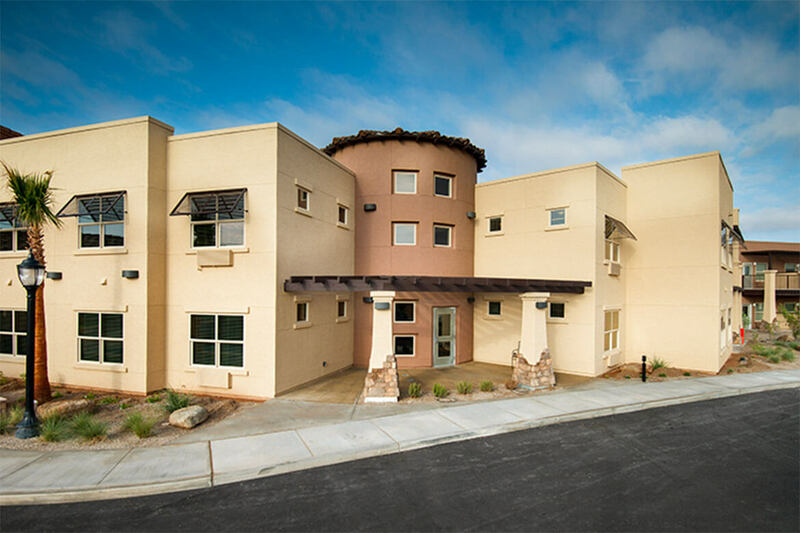 Responding to the natural curve of the property lines, the Parkwood Assisted Living building is designed around a curved arc system with three interlocking arcs. 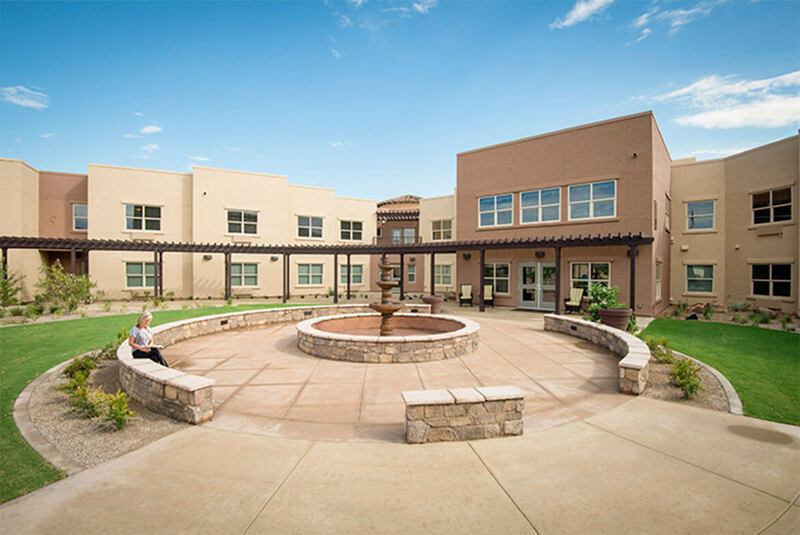 These arcs combine to create intimately scaled courtyards and maximize solar shading. 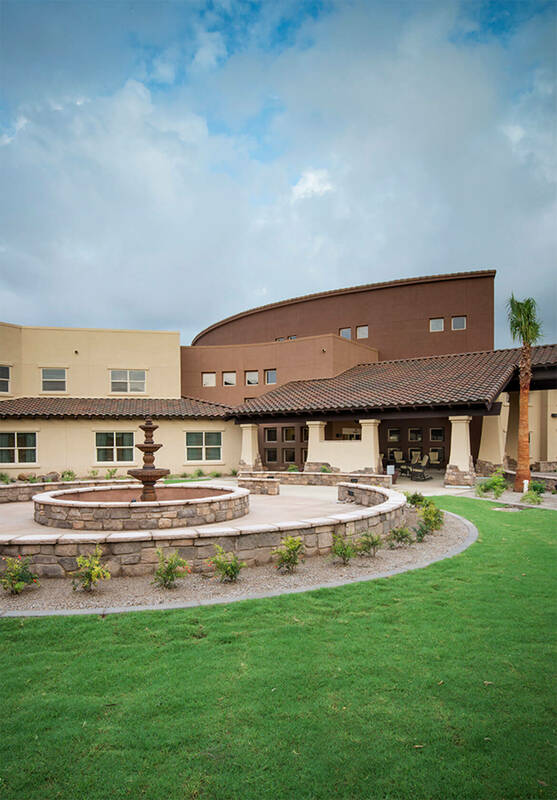 The sweeping roof lines and use of natural materials throughout the building create a warm and inviting atmosphere inside and outside the building. 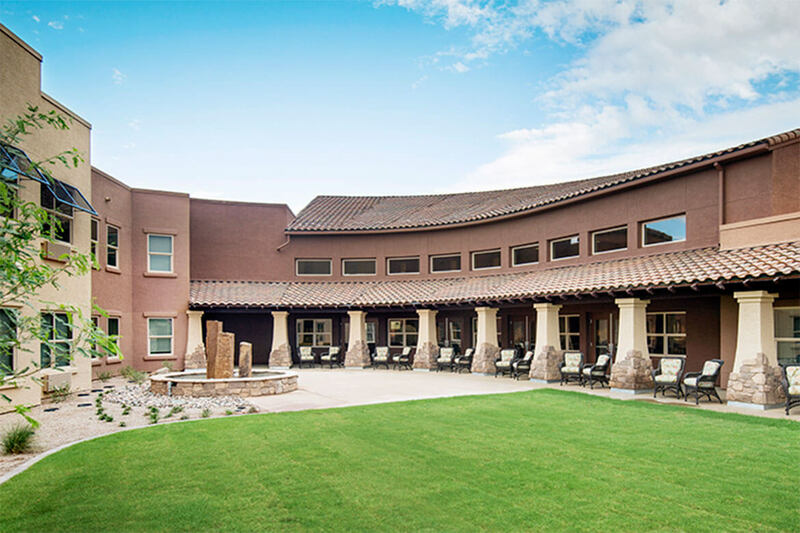 Natural light floods the interior while awnings and trellis work reduce the desert sun’s intensity. 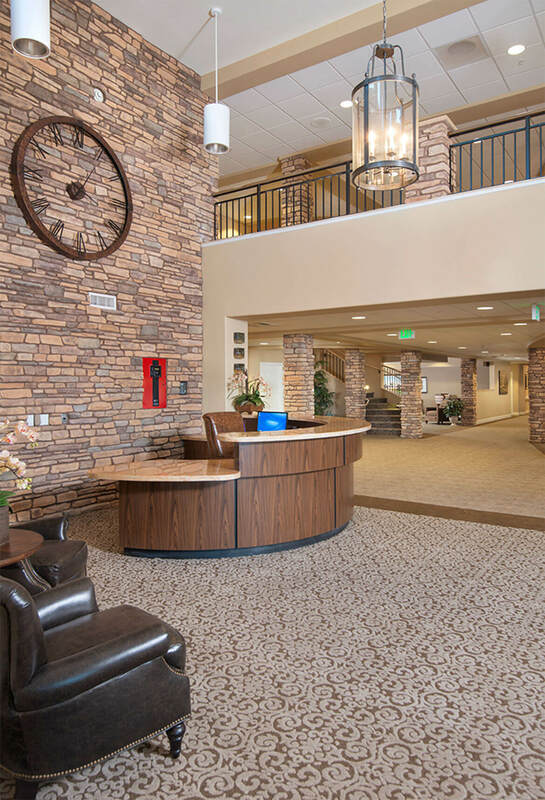 Also contributing the resort-like feel, the building features a number of amenities designed with seniors’ comfort and convenience in mind. 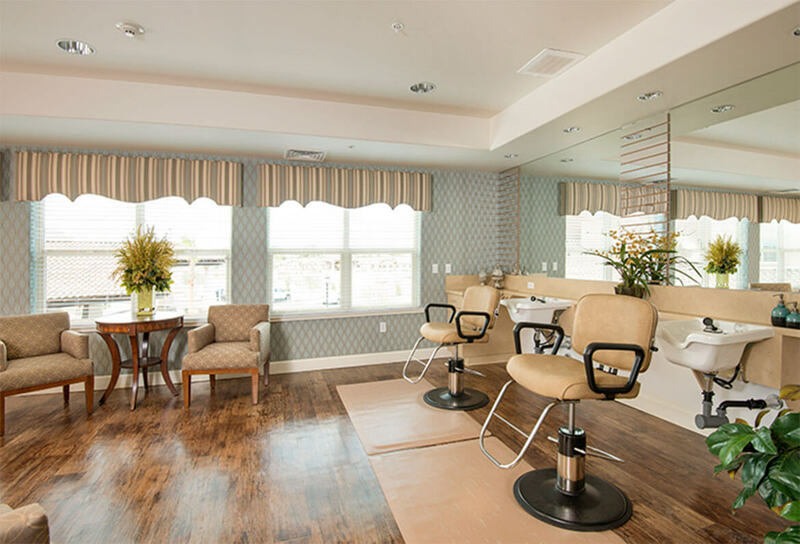 The salon, in particular, provides an upscale and sophisticated experience that is unique to assisted living facility design. 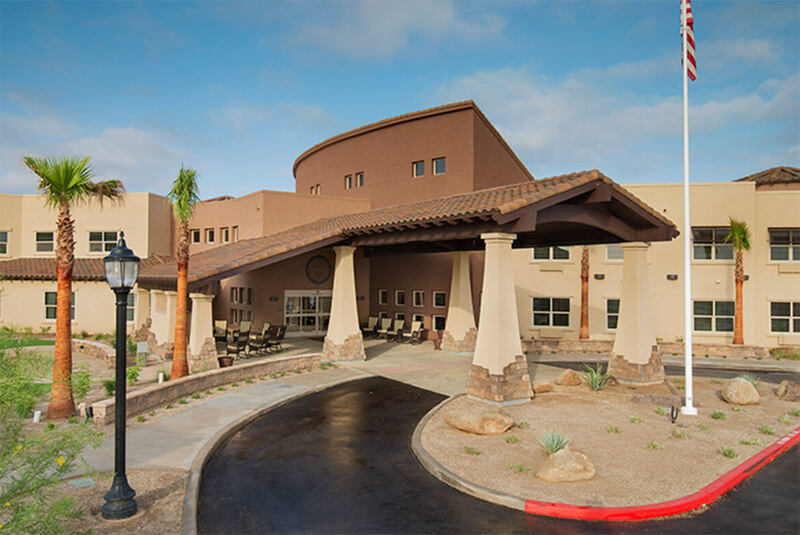 Seniors leave feeling pampered and cared for–which was our vision for the facility design as a whole.